Like honey, some health beliefs are sticky. 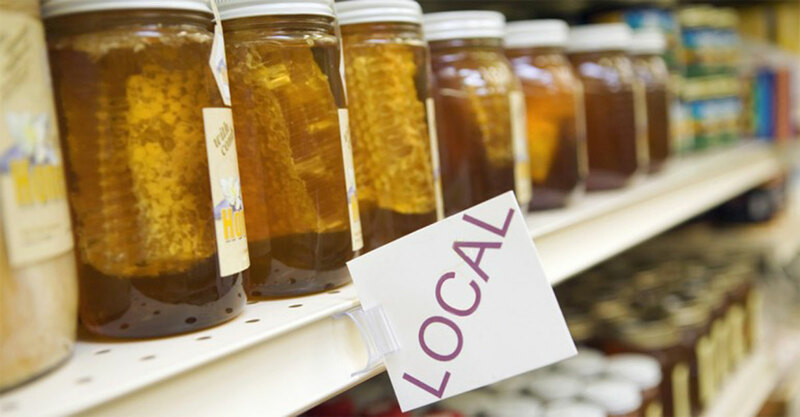 We’ve heard that eating local honey can prevent pollen allergies…and also that it’s useless. Is it a sweet remedy…or a misleading myth? To find out the truth without the…buzz…we turned to T.V. Rajan, MD, PhD, a professor of immunology and experimental pathology at University of Connecticut. More than a decade ago, he explored the potential of honey to desensitize allergy sufferers in a randomized clinical study. The results surprised him. He’s followed the topic ever since. Here’s the hypothesis: When bees collect the sugar-rich nectar of flowers, such as clover, orange blossom or lavender, to make honey, pollen sticks on their legs and abdomens. It’s mostly flower pollen, but tiny amounts of tree and grass pollens—the kind that trigger allergies—may also be trapped as the bees romp around. The honey/allergy theory is based on the idea that locally grown honey acts as a kind of vaccine, letting the immune system get accustomed to the pollen without setting off a full-blown allergic response. Dr. Rajan got interested in the topic in the 1990s—especially after seeing his college-bound daughter suffer through preparing for the SAT exam while battling nasal congestion and watery, itchy eyes. He knew that pollen treatment could work: In Sweden, where allergies to tree pollen such as birch are common, researchers had shown in two studies that giving allergic individuals capsules of birch pollen over several months led to a reduction in allergic symptoms. And, of course, pollens are used in allergy shots. So Dr. Rajan obtained honey from an apiary 12 miles from his family’s home. He asked his daughter to take a tablespoon a day, starting in the spring. By autumn, her symptoms were better. So he decided to study the question more rigorously. In the fall of 2000, he and fellow university investigators initiated an 18-month study of 36 allergy sufferers randomly divided into three groups. Some got local honey…some got nationally collected honey…and the third group got sham honey—corn syrup with honey flavoring. Each participant took one tablespoon daily and recorded symptoms in a weekly diary. Each also recorded when symptoms were severe enough to warrant allergy medications. And the winner was…nobody. There was no difference at all in results among the three groups. And then…radio silence. No other researchers have sallied forth to test the topic, nor have Dr. Rajan and colleagues. Meanwhile, the idea that local honey helps allergies persists. Go ahead and Google it—you’ll get hundreds if not thousands of results extolling the treatment, some offering no attempt at scientific backup and some claiming to include scientific backup…that inevitably fails upon close examination. In the meantime, Swedish researchers looked at honey again in 2011…and found that it helps…just kidding! When they added birch pollen to honey and had adults with birch pollen allergies take it daily for 16 months, allergic symptoms were reduced, and these patients needed less allergy medication. Those who ate just straight local honey daily? Achew. So go ahead and sweeten your tea with the good stuff. By all means, use honey and lemon to soothe a sore throat, and with a touch of coffee to calm a lingering cough. Honey is great for wound healing and might even help curb appetite. But if you want to prevent allergies, consider allergy shots, in which you are exposed to tiny amounts of exactly the pollen (or other allergen) that triggers a response, so you can become desensitized over time. You can even get allergy prevention with drops under your tongue (see Allergy Drops: Pain-Free Help for Allergy Sufferers). For help feeling better if you do have allergy symptoms, take a look at Natural Treatments for a Difficult Allergy Season. You May Depend On Your EpiPen…But Can You Count On It?